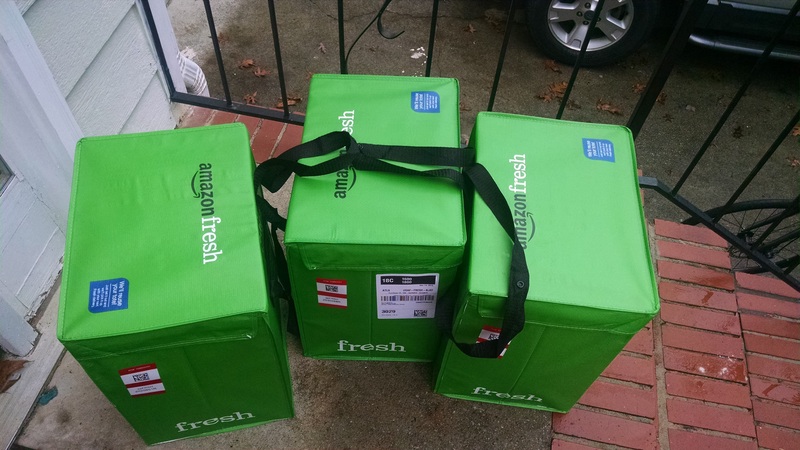 Amazon Fresh is Amazon’s latest creation, a grocery delivery service. You can get fresh produce, meat and other edible goodies (even dinner from a local restaurant) and same-day delivery, with free shipping if you spend over $75. Of course, you’ve always been able to order canned goods and boxed stuff and bulk items for your pantry. But this is the first time Amazon has made available fresh food (hence the name!). Today I got frozen chicken breasts, a fresh pork tenderloin, canned tomatoes, broth, sour cream, cottage cheese, Greek yogurt, KerryGold butter, frozen berries… the usual roundup. I have a dream of automating all of the things. The catch is, after the one-month trial, Amazon charges you $14.99 (as an add-on fee for Amazon Prime members) for the privilege of using the service. However, you do get free delivery (and there are coupons on the site for various items, so look out for those). Those cooler bags are pretty cool, they’re yours to keep or you can put them out before your next delivery and the driver will pick them up and reuse them (they’re filled with dry ice and/or freezer packs). They’re quite sturdy too. As demonstrated by the 2 year old. At the moment, I don’t have a car (long story). Getting groceries delivered would be mighty convenient on those rainy days when I’m too wimpy to take my bike to the store. Amazon’s prices don’t beat ALDI , of course (nobody does!). 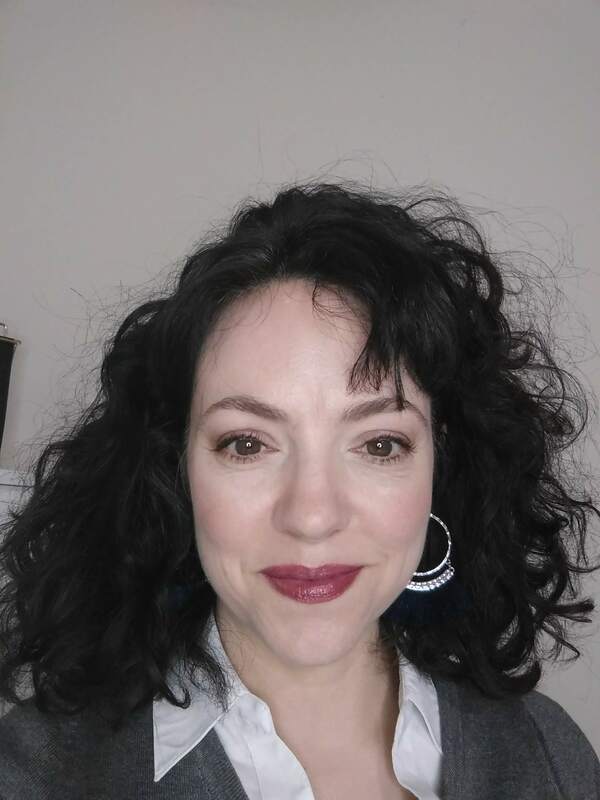 However, there are some items that ALDI doesn’t carry, that I purchase regularly (tamari soy sauce, KerryGold butter – people I can get KerryGold butter delivered to my front door! – and more). And some of the prices were equivalent to ALDI’s. The canned tomatoes (.79), tomato sauce and frozen veggies were comparable, as were the large bags of chicken breasts (3 lb for $6). I got a dozen eggs for .70 each. And, I have long contended that staying out of stores is one of my most valuable frugal methods, if only because of impulse purchases. And caving to kid demands. Even if I pay a little more, it evens out in the end, especially if you include gas and wear-and-tear on a vehicle. In the meantime, I will probably go over budget for groceries this month, stocking my freezer with delivered groceries. The next few months are going to be super busy with buying a house, packing and moving. Having easy dinners in the freezer (chicken breasts, veggies and seasonings always turn out great in the slow cooker) will save money on takeout or other “too exhausted/busy to cook” stress spending. Want to give AmazonFresh a try? Would you consider grocery delivery, even if it cost you a bit more? Weigh in in the comments. p.s. update – on my third delivery, the driver didn’t pick up the bags I had setting out waiting. I didn’t want 14 cooler bags clogging up my house (though they do collapse and fold into one another neatly), so I emailed Amazon. They gave me a $10 credit! I also haven’t had any driver be late. They’ve always been in the time slot I choose. On my 9th delivery, I was shorted a bag. The driver left before I realized it, so I called Amazon’s 1-800# and they immediately refunded my money for the missing items, and once again, gave me a $10 credit. I’m a happy Amazon Fresh customer! This looks amazing! I’m going to have to try it. I can’t believe they have same-day delivery! Amazon is fast becoming where I buy everything. I’m not sure how I feel about that as a consumer, but I can’t deny that I love the time-saving aspect. @Leanne: I know! 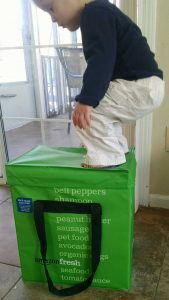 I remember using PeaPod several years ago when I had two little kids, but they stopped offering their services in Atlanta. Ordering from them made me feel like a QUEEN because the driver would actually unload the stuff in your kitchen! Don’t forget to use the promo code, $40 free is nothing to sneeze at. I might try it during winter break when everything is so crazy. Thanks! I’ll definitely use the code. I’ve done PeaPod in the past, but I didn’t love it. The drivers kind of creeped me out (could be a local thing) and I didn’t like that they’d substitute stuff if they didn’t have what you asked for. You know what, I forgot all about this and wanted to try it out. I think I’m going to try it out. I’m loving the amazon packaging! Carrie thanks for your review! I am going to give it a try! Is the $14.99 a monthly fee for Amazon Fresh?